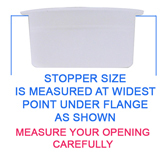 NOTE: Sizes below refer to opening that the stopper will fit. 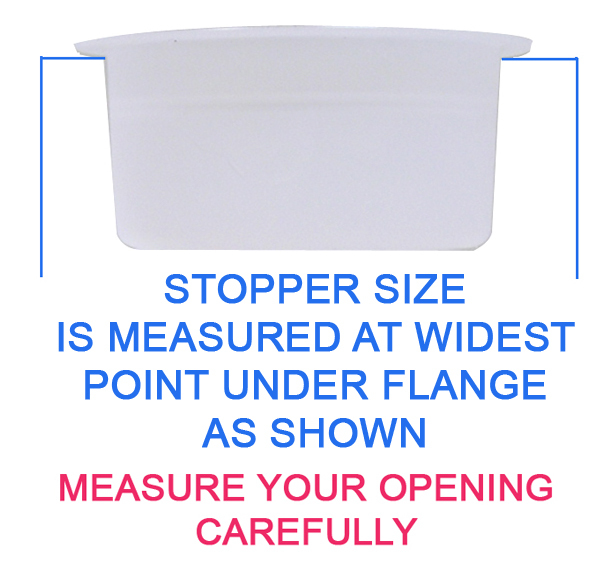 Stoppers have flange or rim that fits flush to your projects bottoms when fully inserted into project opening. Stoppers are slightly tapered for secure fit. (1-1/8" & larger) or pkgs.